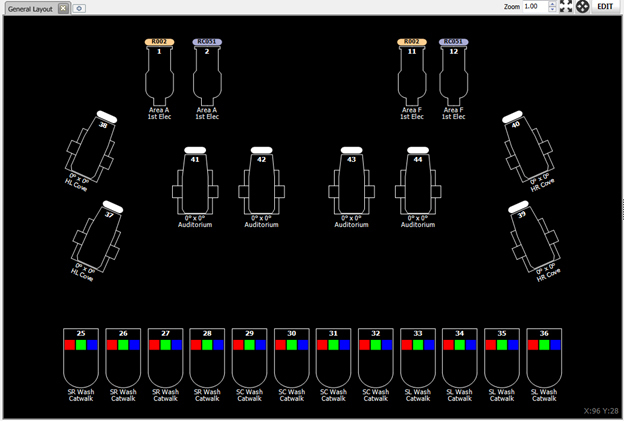 The all new magic sheet is a ground up redevelopment of our original layout view. This view allows you to place fixtures arbitrarily in the window to more resemble the placement of the fixtures in reality. The magic sheet view is a free form that by default has nothing on it. Before using this view you must place fixtures in the desired locations. Once you have placed fixtures on the form you can then control them by selecting them in the same way as the grid view. Pictures – Include a picture from a file on the sheet. Text – Create a text box on the sheet which can be adjusted for size, font, and color. Group Boxs – Place a border on the sheet which can be adjusted for size and position plus line size and color. Shortcut Buttons – Trigger any shortcut assigned in the system. 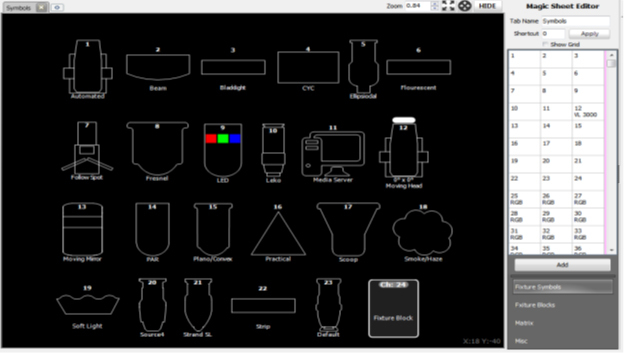 SVG Graphic – Include a Scalable Vector Graphics object from a SVG file on the sheet. 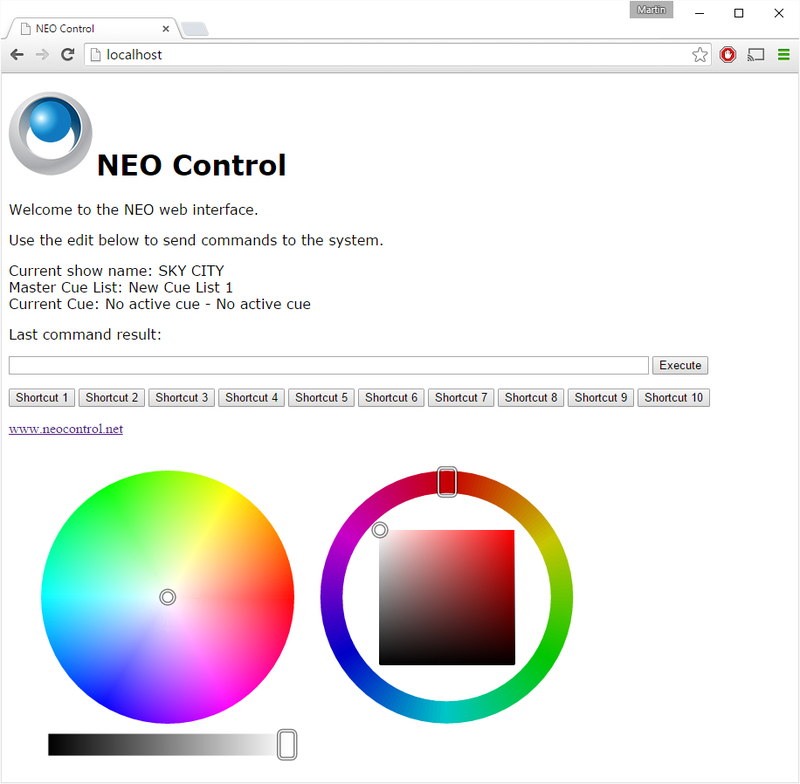 LightFactory can now be controlled from a web browser. When this is turned on it will allow a web browser to connect and serve pages directly from the software. A sample page is automatically generated to show the capabilities of this system.